Design researchers should pay attention on the issue of gamification design, search for proper interdisciplinary theories and knowledge with explanations, deepen the understanding and application of the operation mechanism, and master the meaning and value of effective communication efficiency. The objectives of this study are summarized as below. 1. To apply gamification design to facilitate website design communication efficiency and user experiences. 2. To construct the web experiment to explore the impacts of gamification in the communication efficiency of websites. 3. To propose effective design principles applying gamification design to websites based on the test results of the web experiment. The research methods are further explained as following. Step 1: Construct experimented webs of control web and experimental web. Step 2: Test experimented webs and recruit users to participate and complete tasks on such two webs. Step 3: Questionnaire survey is preceded on users and semi-structured interviews aim to find out users’ web experience and perception by evaluating following dimensions. Ease of use, efficiency, comprehension, pleasure, satisfaction, and attraction motivation. Step 4: Discuss and analyze the effect of the use of gamification on the communication efficiency of web design, according to above test results, questionnaire, and interviews. Step 5: Conclude the principle of applying gamification to web design to enhance effective communication. 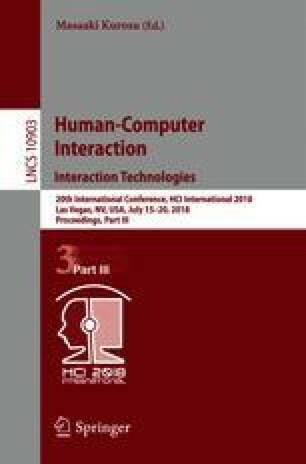 It is expected that this study would contribute to designers and businesses understanding how to construct effective gamification design, offer users with better experiences, propose effective design principles for applying gamification design to websites, construct new interdisciplinary knowledge for design research, as well as create new opportunities of experience design for different industries and social and psychological needs.